K31-99-5000 - Kraftwerks Apparel - MiataRoadster - Stay tuned with MiataRoadster! 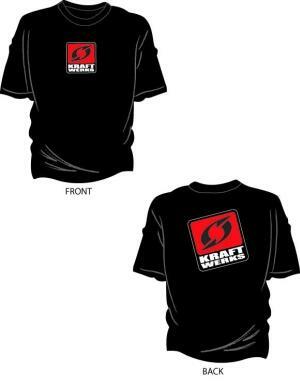 Show your Kraftwerks support with the Traditional T-Shirt! This Tee is 100% Cotton (90% Cotton/10% Polyester in Gray) and pre-shrunk. The Kraftwerks “Swirl” logo is featured on the front, with the traditional Kraftwerks logo on the back. The Kraftwerks Block logo is featured on the front and back.